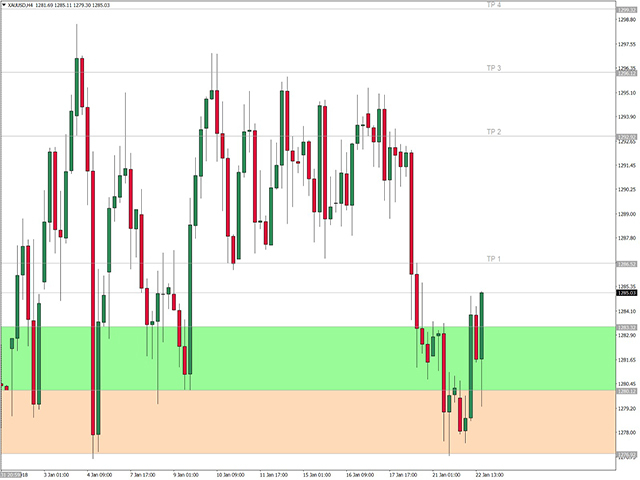 This is the FXTraderariel Bank Level.It analysis the price and displays potential lines for a Entry and a Take Profit. These lines area are like to trade for big player like banks. It works on all Pairs and all Timeframes (however we advice only pro traders to trade smaller Timeframes, novice traders should stick to higher TF like H4 and D1). Depending on the settings it can be used for scalping, swing or long-term trading. Trades should be watched closely. Always wait the current candle to close before you enter. This Indicator does not repaint. Values are only valid in the past until the seperator line. For Details please contact me here or on instagram. 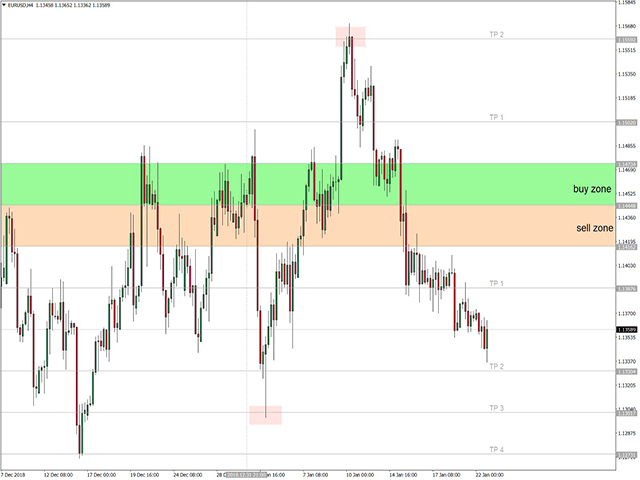 base_tf: Select which on which tradingstyle you want to use the indicator. Scapling, Swing or Long-Term Investment. lines-color: Select the color of the lines. !!!!!!!!!! IF YOU HAVE ANY PROBLEMS INSTALLING THE INDICATOR, PLEASE CONTACT US. WE ARE HAPPY TO HELP AND SOLVE EVERY PROBLEM !!!!!!!!! !